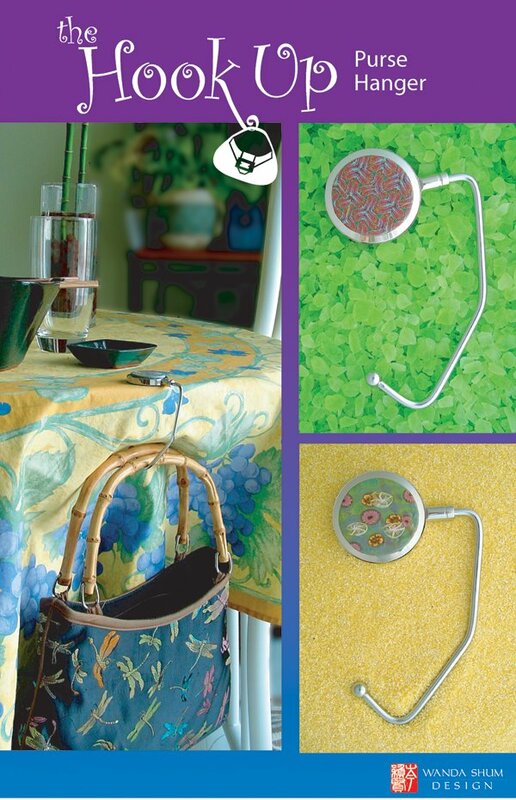 I'm introducing a new product at my Christmas season....purse hangers! 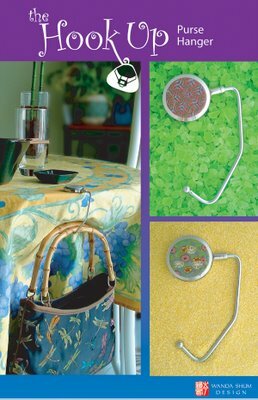 They're a cute little hook that you place on top of a table so that you can hang your purse on it. It was something that I remember my mother having when I was a young child in Hong Kong and it came back to me about a year ago when I got tired of not having a place to put my purse besides on the floor or hanging from the back of the chair. This little accessory was the result of a year's worth of research to find the right supplier of this item. The one I've acquired holds a minimum 20lbs! I think it should have no problem holding my husband's military packsack! To personalize the pieces as my own, I've made limited edtion patterns for the disc that sits on the table. Wish me luck on the sale of these items. What a great idea - I have never seen something like this. I love it. Any way you can ship one or maybe a few (as gifts) to Israel? Please let me know if it's possible and name your price + shipping. Going to look at the rest of your stuff. These are so cool! I've never seen anything like this before, but I'd bet they're a great seller.